Zoom to the future and fight evil with this pin featuring Cosmic Boy, a founding member of the Legion of Super-Heroes. Made by Fansets, these highly collectable pins feature all your favorite DC Comic book characters. Collect all your other favorite characters (sold separate)! 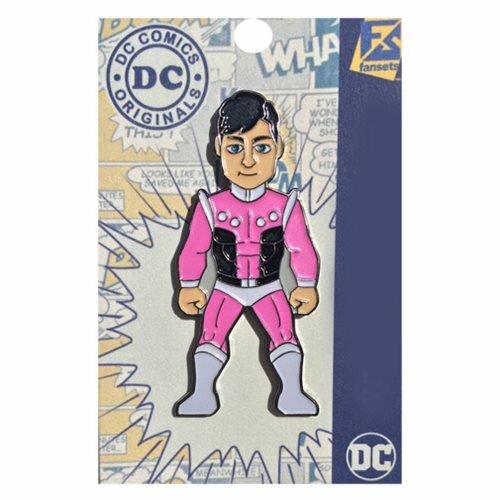 This DC Comics Legion of Super Heroes Cosmic Boy Pin measures about 2-inches tall.